The Boabom Journal › Why do we celebrate the Solstice in BOABOM? Many will ask, search why do we celebrate the Solstice? Why celebrate that date and not any other that might belong to a specific tradition, whether eastern or western? 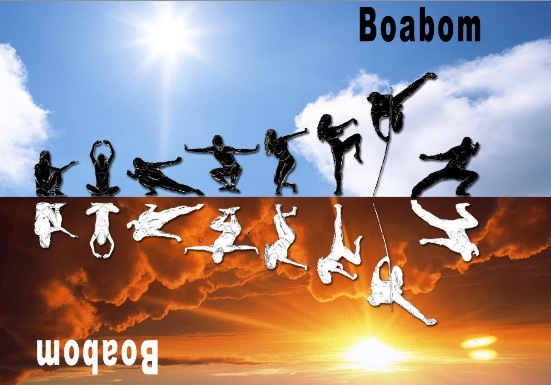 In the Boabom traditions there are no defined traditions but the ones that the schools determine according to their form and what is needed in the moment. Boabom belongs to the nomads, and nomads know how to change, to adapt, to keep what matters; they carry very little with them, mostly what is needed, and they are aware that nothing remains for long, and that there is no time to own many things. Still, the question remains, why the Solstice in Boabom? For the same reason as above, because the Solstice does not belong to anyone. No one told the sun to come out on a particular day or time because on that particular day and time “my triumph is celebrated” or “my religion is celebrated”. The Sun has its own life, and takes us into its rhythm, inevitable. In the same way, the Moon and the stars live their lives, no one rules over them, no one commands them, they are eternal nomads. We can only watch the stars, but trying to understand them is a long task. In one way or another, the conclusion is the same: we do not own, we are not the lords, rulers, and we are not the ones that can dictate that this or that is a sacred date, we can not say “you shall appear on this date, and disappear on that other one”. The universe has its own rhythm, the nomads adapt to it, and the rest deny that and make their burden heavier. At the same time, there is always the need of reunion, to reflect, to meditate about our lives, our desires, the path we have walked, our achievements and where we want those achievements to take us, and this need remains. That is where the Solstice is born in the Boabom Arts, day in which the sun is at its peak in the North and in its lowest point in the South, showing that a circle has been lived. It is a great time to meditate, a moment to make a stop in the path of a hermit, not to celebrate triumphs that we have not lived or experimented. Without a doubt, the human world is plagued with dates, celebrations, memorable days that may have never been, of births that no one certifies, of “months” and days that were created and named to satisfy the ego of emperors of other times. These dates will live and die with their cultures, and the Moon, in birth and completion, the Solstices marking circles to the sun, the Stars in different points will continue un-acknowledging so many human dates. Those of us who take Boabom as a way of life in a humble and simple way appreciate that the Sun has completed a cycle, that the Moon grows and decreases, that the stars guide us and that, all of them, without further requirements, have allowed us to continue our pilgrimage. A circle has been completed! May the stellar winds be in your favor! Posted on Monday, June 18, 2012, at 4:24 am. Filed under Announcements, Poems & Thoughts, Stories. Tagged Boabom & Seamm-Jasani, solstice boabom. Bookmark the permalink.